Dr Janice Brown studied for her first degree at the University of York, and for her PhD at University College London. She has worked at the University of Reading and University of Westminster before joining London South Bank University (LSBU) in 2005. Dr Brown's research has focused on visuo-spatial processing in typically developing infants and in developmental disorders, including Williams syndrome, Down's syndrome, and Developmental Co-ordination Disorder. Having returned to education as a mature student, Dr Brown has a particular interest in student support, and has been instrumental in the development of initiatives to support students within the Division of Psychology, including a peer mentoring scheme, a professional (personal) tutoring programme, a diagnostic test to identify study skills deficits, and skills training programmes. 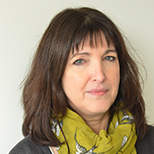 Dr Brown has led on the development of the undergraduate Psychology curriculum at LSBU, and has been a Senior Fellow of the Higher Education Academy (HEA) since 2014. Dr Brown’s research has focused on early development in genetic disorders, and how these change over time. For example, face processing, which is thought to be good in adults with Williams syndrome, appears to be impaired from very early in life. Meanwhile, attention, which is thought to be poor in Williams syndrome adults, is seen to be impaired from infancy, but not necessarily in the same way. These findings highlight the importance of investigating disorders early in life, to establish appropriate interventions.